J— dreams of a family where wild birds are his brothers and sisters and he can escape the urban chaos of London. He lives with his adopted dads in a loving home, but can’t forget his past and the violent emotions he feels towards the young mother who abandoned him. In times of anger and sadness, he turns to the piano and the music that allows his dreams to flourish. Commissioned by Animate Projects and Anim18 / Created at Figuration. Seven animators have been commissioned to create micro-shorts that give voice to untold stories of life in the UK and explore our rich and culturally diverse communities. The animators are: Jessica Ashman, Leo Crane, Ian Gouldstone, Anushka Kishani Naanayakkara, Osbert Parker & Laurie Hill, and Kate Sullivan. As part of this, The Foundling gives voice to a boy who has experienced abandonment, separation and loss. Fully immersed in the post-adoption therapy, he is eloquent and forthright in describing his impressions of life, with an emotional range that shifts from intensely vulnerable to fiercely independent. With absolute authenticity, he can expose the need for family, in whatever form it takes. Animate Projects nurtures creative talent in order to create thought provoking and inspiring projects. Anim18 is a celebration of British Animation led by Film Hub Wales and BFI Film Audience Network. The Foundling is an animated documentary rooted in a series of interviews with the subject, J—. These interviews were edited into one clear narrative concept against further recordings of J— playing the piano. The sound edit was completed with contrasting noises of the city (recorded on location at Vauxhall Cross) and birdsong (from the British Library sound archive). 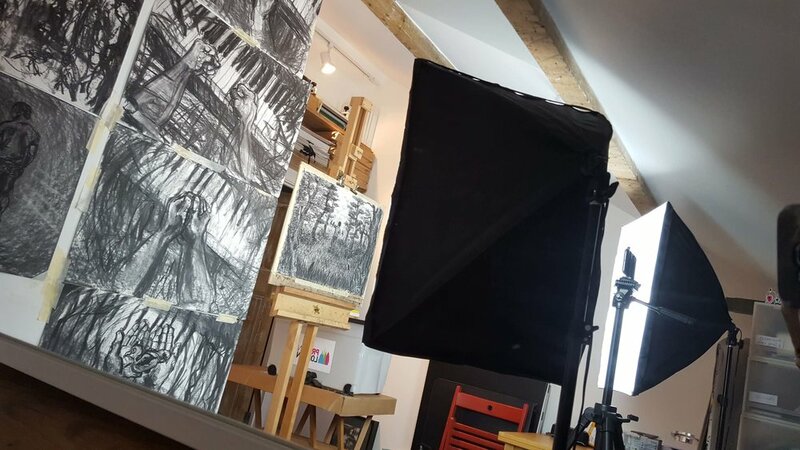 Concept images and the storyboard followed, all drawn in charcoal on A2 paper, the same scale as the animation. 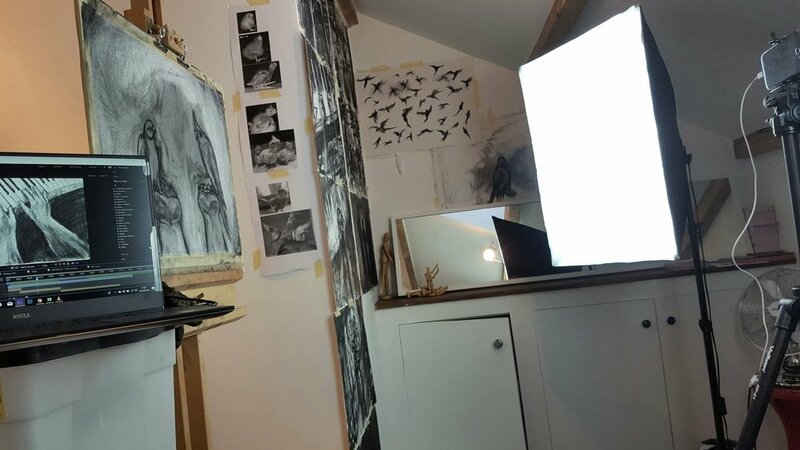 Before animating, Leo studied the movement of hands playing a piano and birds in flight to familiarise himself with key visual imagery. 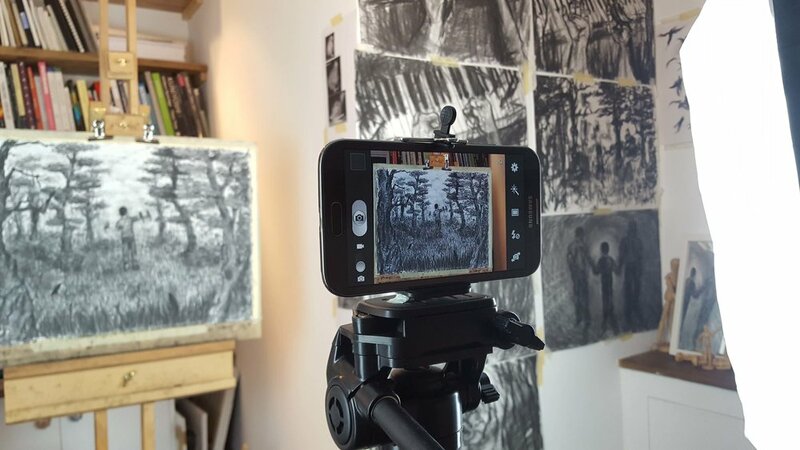 The studio was set up with an easel, two lights and a phone on a stable tripod and animation began. Using charcoal and a putty rubber, the same drawing was worked up, photographed, erased and redrawn (straight-ahead erasure animation). Every six to eight drawings, the photos were downloaded onto a laptop and sequenced in Adobe After Effects. Minor adjustments were made digitally, mostly to counteract small movements in the camera, easel or tripod. The paper was changed twice. The Foundling’s soundtrack includes a number of bird song recordings downloaded from the British Library’s Soundcloud playlist British Wildlife Recordings. They are some of the many sounds available royalty free from the British Library Sound Archive. All six Untold Tales commissions are available for exhibition. Hear the animators talk about their work here. I Can Do Your Portrait!